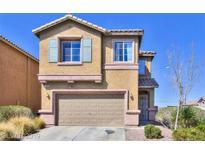 Below you can view all the homes for sale in the Greenway Village subdivision located in Henderson Nevada. 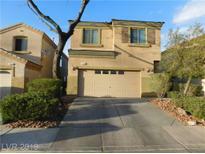 Listings in Greenway Village are updated daily from data we receive from the Las Vegas multiple listing service. To learn more about any of these homes or to receive custom notifications when a new property is listed for sale in Greenway Village, give us a call at 702-323-5903. Nice location at the end of the cul-de-sac with lots of parking across the street! ! MLS#2087239. Century 21 Gavish Real Estate. Beautiful 2 Story Home -courtyard Entry - Professionally Landscaped - Open Floor Plan W Island Kitchen Rm For Dining - Granite Counter Tops Custom Paint- Upgraded Cabinets - Upstairs Loft- Vaulted Ceilings - Master Separate - Dble Vanity - Walk In Closet - Ceiling Fans - Covered Backyard Patio - Decorative Fountain 2 Car Finished Garage - Stainless Appliances - Water Softener MLS#2086237. Urban Nest Realty. Backyard w/ covered patio! Corner lot! Won't last! MLS#2082992. Monopoly Realty & Mgmt Inc. HUGE master bedroom! Nice size backyard! MLS#2083864. Century 21 Gavish Real Estate. Close to schools, shopping and movies. MLS#2077912. Simply Vegas. Pride of ownership shows in the neighborhood. Premier location in Henderson. 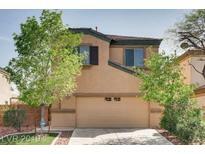 MLS#2073410. eXp Realty. New ceiling fans in all rooms. MLS#1970880. Platinum R.E. Professionals.